The cache management function is extensively used in many IoT applications where there is instability in Internet connections, or device connection is intermittent by design. This agent version release greatly improves the capacity of the cache, ensuring that devices can be offline for extended periods (in some cases weeks and months), and data is effectively marshalled and ready for transfer to the cloud upon reconnection. Furthermore, we have introduced a secondary back-up function, by writing to disk in local devices, enabling clients to recover data in case of power loss or device reboots. Finally, the speed of cache transfer after reconnection has been increased significantly to minimise any operational disruption due to data gaps. Over the past few years, Ardexa has experienced many global telecommunications networks with vastly different operating characteristics. This release improves the connection logic when networks are unstable or unreliable (particularly around continuous, high frequency disconnections). 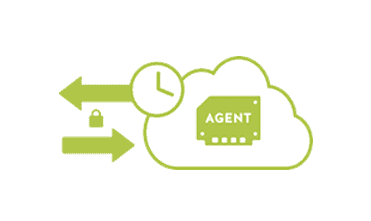 The agent now contains a small, read-only web service that makes its internal status available for monitoring. Based on this new function, there is now an active connection check function that can automatically restart agents if a disconnection occurs. Furthermore, we have built several features into Ardexa Linux that enable the recording of all agent historical network events, such as network routing and DNS availability. These events are now formally logged in a black-box recorder, enabling clients to determine more accurately, any historical causes of interruptions to data monitoring or control functions when failures occur. With the emergence of vision and voice based technologies; the need to move large picture, audio, video or software files has become essential. This agent released has removed the previous file transfer limits, without the need to use special file transfer tools. This has set up the agent to fulfil an increased number of remote functions as these technologies take hold. Due to two discontinued support elements (including termination of support for Debian Wheezy), a major version release to 2.0.0 has been prompted. This release is available for client upgrade immediately to all subscription customers. We recommend consultation with your Ardexa Account Director to ensure a controlled release program. For more technical release details, please also see your Account Director.